The holiday season is all about gift giving, and what could be better than announcing your special news? 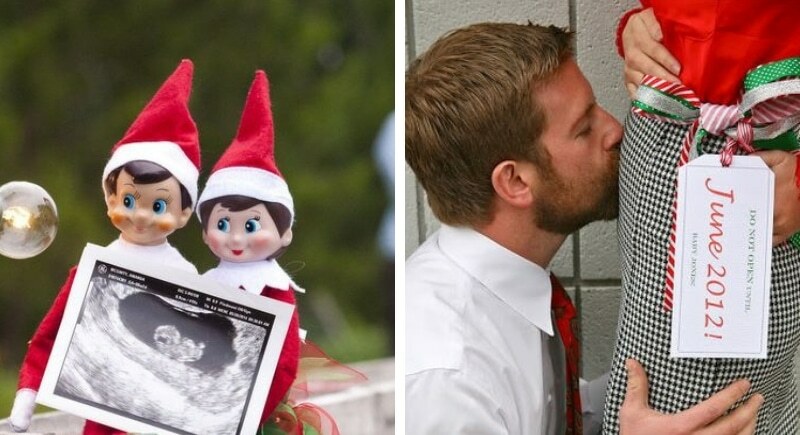 Couples can get really creative with a holiday themed announcement, whether the baby will be due near Christmas or you found out you are expecting during the holidays. Wrapping a sonogram as a gift, tying a bow about the mom-to-be’s stomach, or using the much loved elf on a shelf are all merry methods with which to spread a little more cheer. Listen dads, we love you. But we also want to use your beer belly to spread the good news in a hilarious manner. 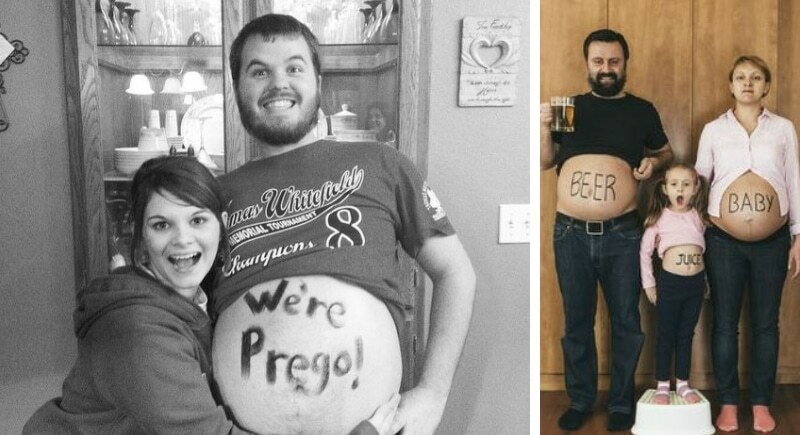 We love pregnancy announcements that make light of dad’s growing stomach, even though it has nothing to to with a baby and everything to do with hamburgers and beer. A dad that is in on a joke like this is surely lighthearted and going to take to parenting with ease. Bonus points if you can get your little one to pose in the photo also! After all, it’s a family affair.